Reinhardt University has always valued education in the traditions of the United Methodist Church (UMC). Its recent golf outing, held at Bent Tree Golf Club in Jasper, which raised more than $23,000 for students from UMC churches is one more indication of an ever-deepening partnership between the UMC and Reinhardt. Eighty-four players joined the fun for a good cause on the links. Player registration fees and sponsorships made it possible for Reinhardt to exceed this year’s fundraising goal by more than $4,000. 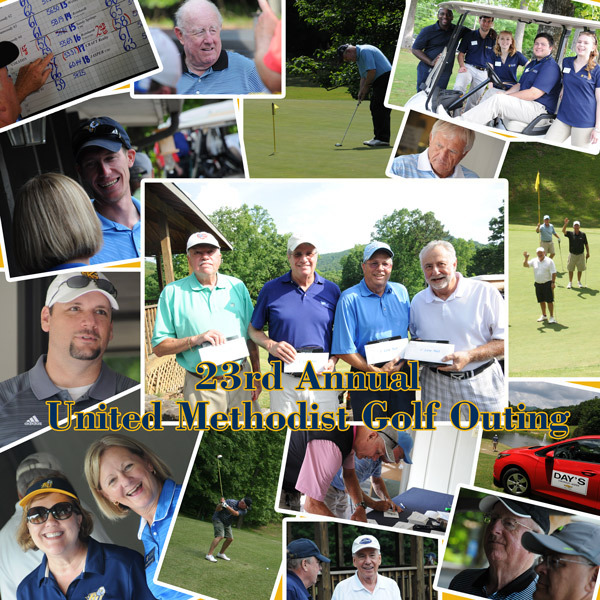 The 23rd annual Reinhardt UMC golf outing is making possible up to $2,000 per student for UMC students, and up to $12,000 for dependents of UMC clergy from the North and South Georgia UMC Conferences. The winning team included Steve Lawrence, Bob Hofels, Henry Sossaman and Paul Phillips, and second place to event chair, David Melton, Dan Brown, Scott Lingner and Patrick Kennedy. The longest drive contest on the 18th hole went to Taylor Turner, and Mark Christensen hit the most accurate drive on hole 9. Closest to the pins on the par 3 holes were: Ron Hunter (No. 4), Steve Lawrence (No. 7), Wayne Floyd (No. 13) and Jim Johnson (No. 16). “Those of us on the planning committee are extremely proud to be able to provide support to Reinhardt that, in turn, goes directly to support students from United Methodist churches,” said Rev. David Melton, event, chair and minister to the congregation at Dunwoody United Methodist Church. Sponsors for the event include: Oak Grove United Methodist Church, Tom Bethel, Northside United Methodist Church, Sandy Springs United Methodist Church, Chip Davidson, Corblu Ecology Group, Dunwoody United Methodist Church, Georgia United Methodist Foundation, Jasper United Methodist Church, Kiker Wealth Management LLC, Liberty Hill Church, the Revs. Leigh and Zack Martin, Joy T. Melton/Hindson and Melton LLC, Ann and Johnny Stone, United Methodist Connectional Federal Union and Day’s Chevrolet in Jasper. Reinhardt University also would like to thank those who made donations to the event including Tom Bethel, Paul Boone, Albert C. Dorminy, of Northside UMC, Capt. Andrew Drexler, Richard Martz and John Shurley.